As it is getting so nice out now, me, Justin and Scott set out to our local park in ware, it’s about 5 minute walk from us. 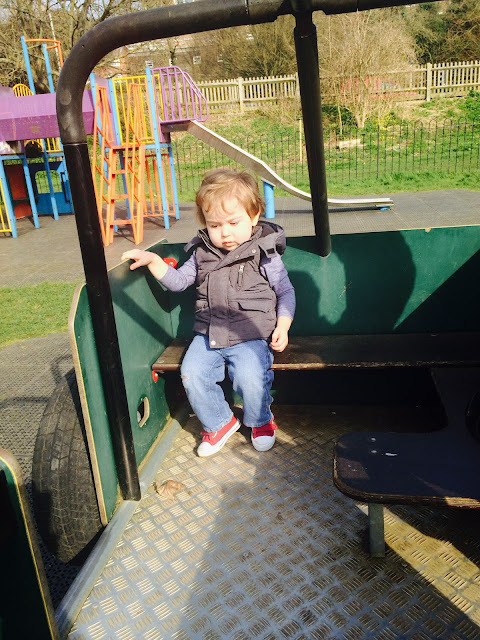 Justin was really pleased to have gone, that’s all he keeps going on about, mummy can we go swings lol. We stayed there for about an hour at that time Justin went on the swings (his favourite) the slide and this pretend car that u can drive. 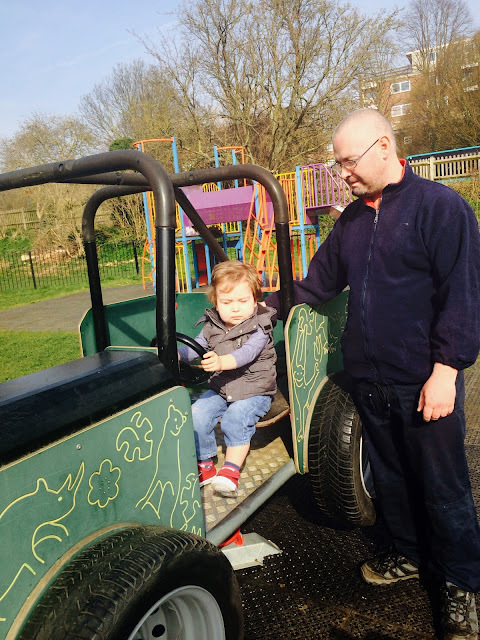 I took some videos of him at the park and also some pictures of him on the car driving and siting on it relaxing. As you can see he loves his car, didn’t want to get off of it. Justin in the back of the car relaxing. These are the videos we took of him enjoying himself while he was there. As you can see Justin was loving the swings and slide, he kept say again and again. We are looking forward to many more nice day’s as we can do alot more with him.